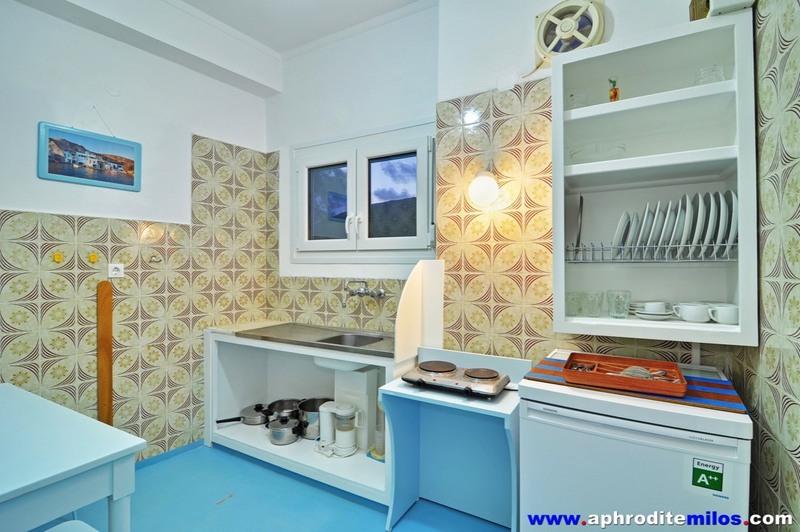 There is also Nikolas House, owned by the same family, about 100 m. from Hotel Apartments Aphrodite of Milos, a traditional, spacious Cycladic house renovated in 2009 that can accommodate easily 2, 3, 4, or 7 people, or more with the addition of extra smaller beds. 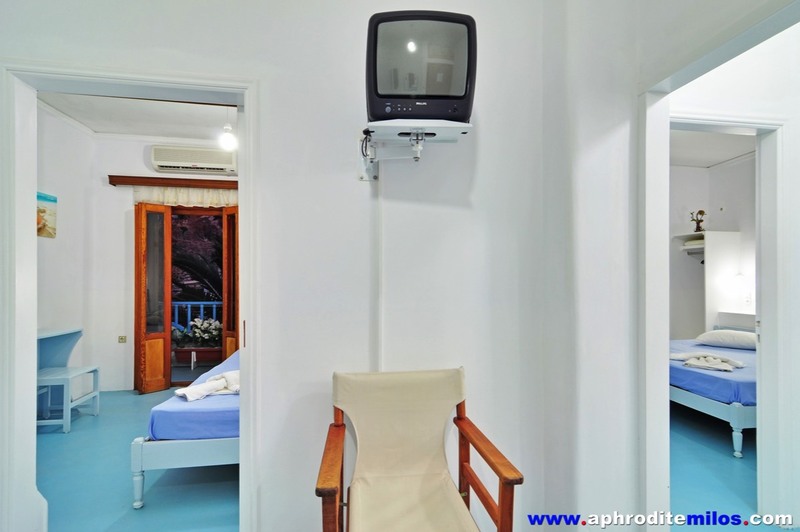 Nikolas House has undergone extensive renovation, such as the addition of a second full-sized bathroom, which saw it become even more comfortable to guests, while retaining its traditional character. 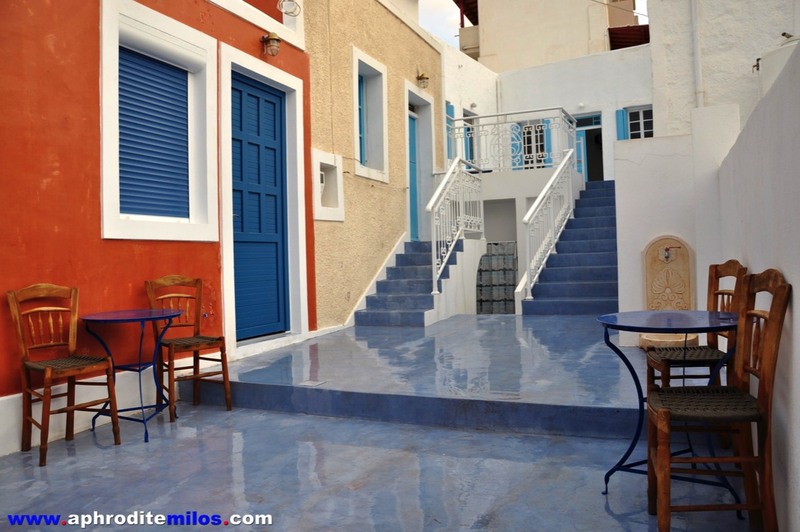 Next to Nikolas House, also about 100 m. from Hotel Apartments Aphrodite of Milos, there are Katerina Rooms, a few cozy traditional double rooms, for the budget-conscious traveler. 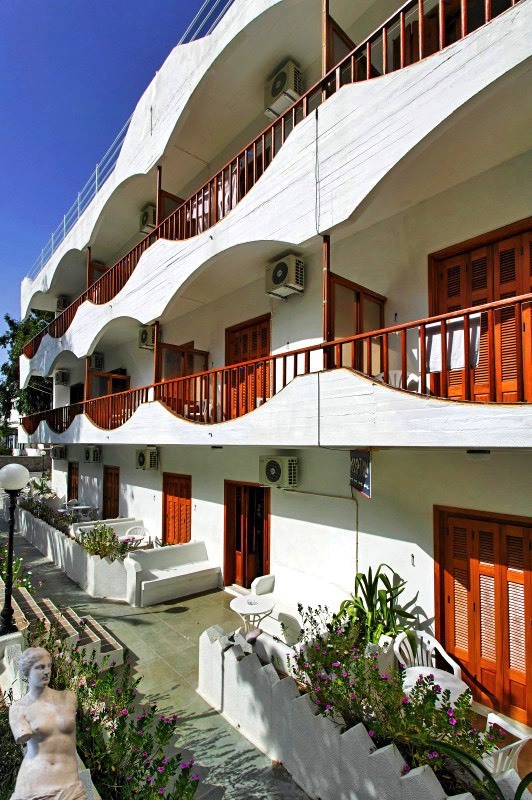 2-bedroom furnished apartments on 3 different floors, with fully-equipped kitchens. 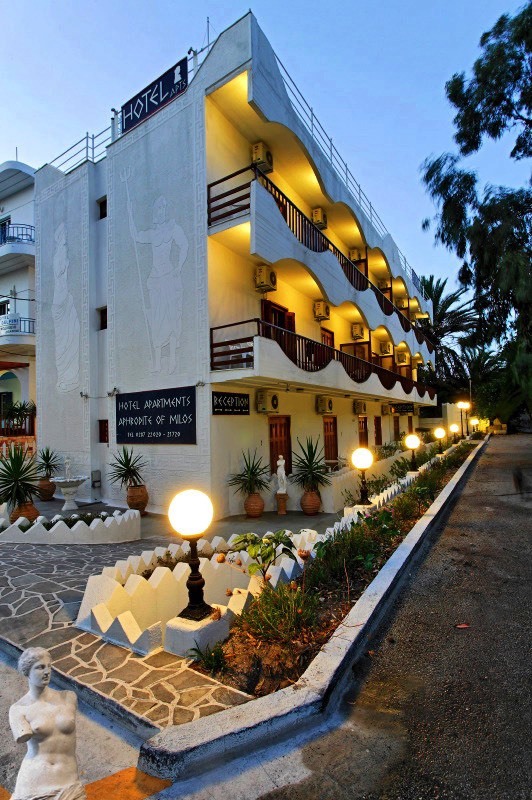 1-bedroom furnished apartments on 3 different floors, with fully-equipped kitchens. 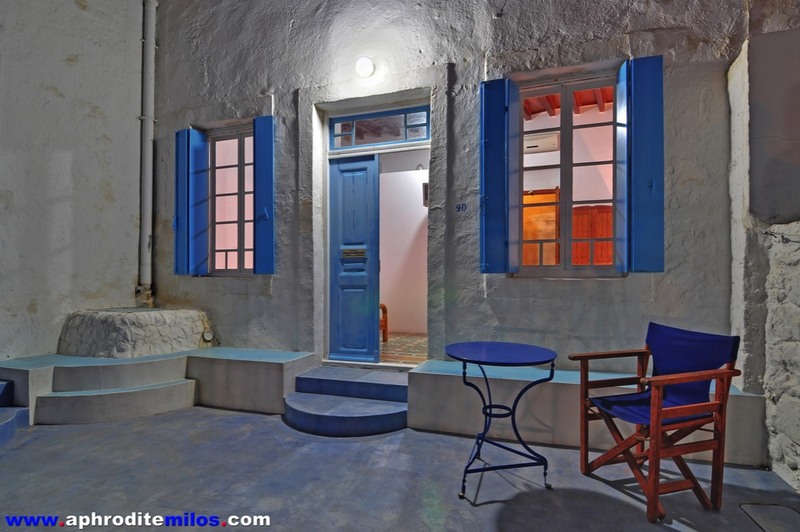 A traditional, spacious Cycladic house renovated in 2009 that can accommodate easily 2, 3, 4, or 7 people, or more with the addition of extra smaller beds. 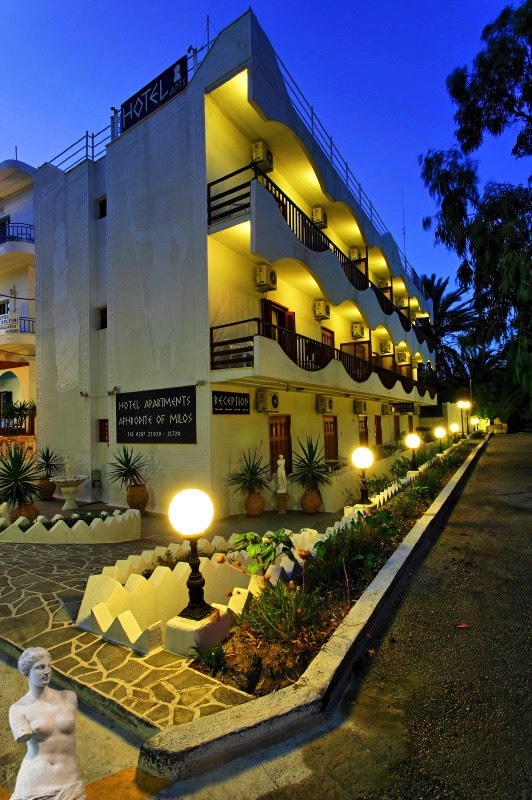 Cozy, traditional double rooms, for the budget-conscious traveler.